Japanese and U.S. forces are set to stage amphibious exercises off of Guam and Tinian as part of a series of bilateral drills that kicked off this week. 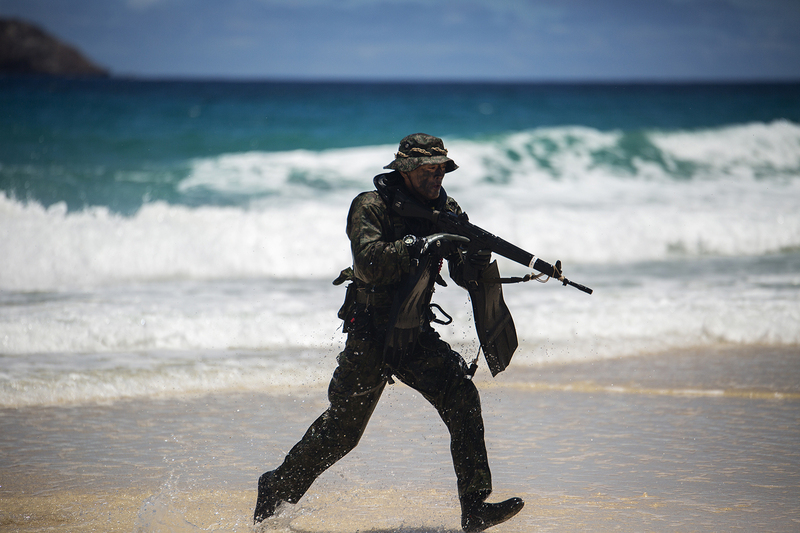 Keen Sword 2017 will place a heavy emphasis on amphibious operations in the wide-ranging exercise that will have U.S. and Japanese Self Defense Force personnel drill from the Japanese home islands, Okinawa Ito Guam and Tinian. The amphibious exercises will land Japanese and American forces on small boats and helicopters from a four ship Japanese amphibious flotilla centered on the helicopter carrier JS Hyuga (DDH-181) and the U.S. amphibious warship USS Comstock (LSD-45) attached to the Japanese force. “Personnel assigned to Amphibious Force 7th Fleet, 3rd Marine Expeditionary Brigade, and 3rd Marine Division have embarked on Hyuga (to assist in integration of U.S. forces into the amphibious task force and overall build on bilateral relationships,” read a release from U.S. 7th Fleet. 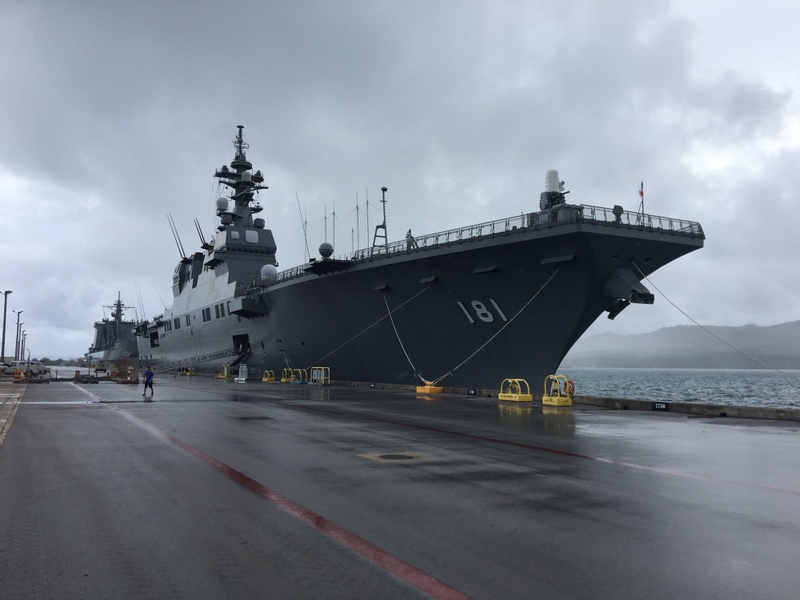 Japan and the U.S. have both worked to expand the JSDF ability to conduct amphibious operations for the last several years, including the Rim of the Pacific exercises. “By improving our bilateral amphibious capability, we increase interoperability and readiness as part of our deep and longstanding military cooperation in support of the U.S.-Japan defense alliance,” Rear Adm. Marc H. Dalton, commander, Amphibious Force 7th Fleet said in a U.S. 7th Fleet statement. The emphasis on amphibious operations is a first for this iteration of Keen Sword and comes as tensions between Tokyo and Beijing over territory have intensified over the last year. Both China and Japan have laid claim to the Senkaku Islands in the East China Sea which Japan now controls. Over the summer China sent Coast Guard ships and a People’s Liberation Army Navy frigate within territorial waters of the island.Chinese and Japanese fighters also clashed near the islands in June. For its part, the People’s Liberation Army has included simulated amphibious assaults of the Senkakus in their regular exercises. Keen Sword runs until Nov. 11.